Here’s the truth: there are hardly any ‘team chat apps’ left on the market. Today’s corporate messengers are not about communication only. 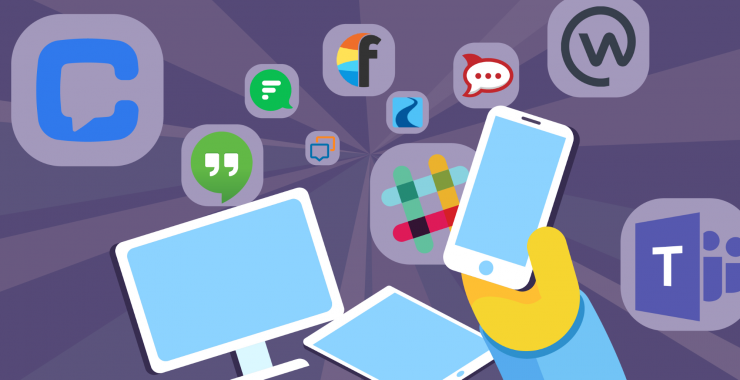 As demands of businesses have risen, team chat apps turned into powerful collaboration tools. 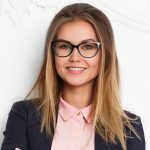 They mix chats, work items and integrations with third-party apps, becoming a kind of ‘work hubs’ to satisfy business needs. Back in 2013, Slack pioneered with this approach to team chat apps. Today, with 8 mln people using it daily, the tool definitely has the momentum in business collaboration. But chances are Slack will not be on top forever or even for long. For the last couple of years, many brand new tools have arrived and they are doing great catching up with a market leader. 10 Best Team Chat Apps. Who’s Got the Muscle? At Chanty, we love to explore team chat tools. Learning about different features our colleagues-slash-competitors helps us in making our app better. We have already given a comprehensive feedback on Slack alternatives. Here’s a bit more extended review of business communication tools. I’ll list 10 team chat apps, focus on their key features, and share opinion on the pros and cons of every app. Each description contains ‘Will this tool serve me?’ section to help you make a reasonable decision on a particular app. In case the freemium plan is all you need, take a look at the table we’ve made for you. It wouldn’t be our blog if we didn’t put Chanty team chat as #1 on this list. We’ve designed a simple AI-powered tool with intuitive and easy-to-use interface. Chats are neatly organized in public, private, one to one conversations. 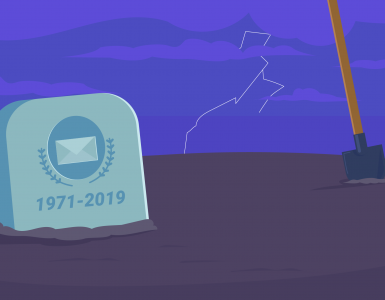 Unlike some of our competitors, we decided not to limit searchable message history creating seamless experience for our users. Links, files and pinned messages of every conversation are neatly organized making it easy to instantly find what you need. Recently, we introduced Task manager that is a breeze to use so you can turn any message into an assignment. Moreover, voice and video calls are just around the corner. Although some of the features are coming soon, you can already enjoy the super fast and easy communication in Chanty. Feel free to join our community of early adopters! Chanty’s free plan is limited to 10 people on a team. The paid plan starts at $3 per user, per month. If you need an app with intuitive user experience, organized communication, seamless collaboration, powerful search, adjustable notifications and many more features to come, you are definitely on the right track. 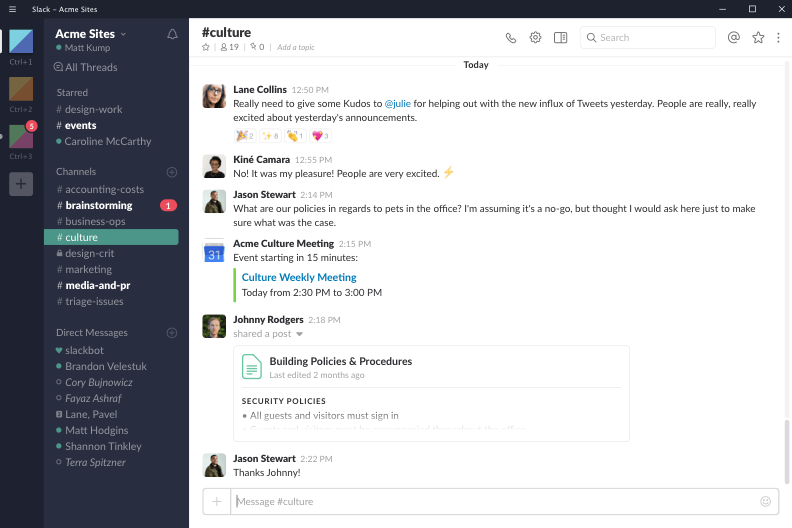 Slack, a team chat tool released in 2013, is ahead of the curve when it comes to team chat apps. It’s been often praised for having 1000+ integrations, friendly UX and a powerful search. 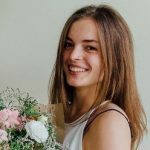 At the same time, some users describe their interaction with Slack as a love-hate relationship – primarily because notifications are not so easy to handle. In the Freemium version file storage is limited to 5GB and only 10K last messages are searchable. And yes – Slack is pricey, which is pointed out by many of its competitors. 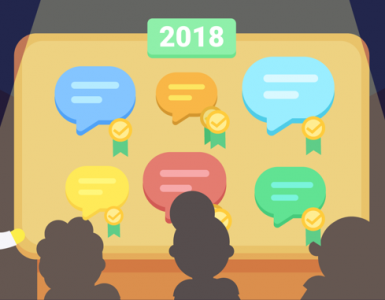 However, Slack keeps growing – in 2018 it acquired the major competitor – Atlassian Stride and HipChat. Rumor has it Slack is planning to go public in 2019 at a reported $7 billion valuation. Limited with 10K of your team’s most recent messages, 5 GB storage space per team, 10 third-party apps or integrations and 1-to-1 calls only. Unlocks screen sharing, 10 GB storage per member and group calls up to 15 participants, among other things. Adds extra security features, SSO, compliance exports, 24/7 support and 99.99% guaranteed uptime SLA. Slack is not the cheapest tool on the market, especially for a rather big team. But if you are ready to pay a pretty penny for unlimited 1000+ integrations among other advantages, Slack can be your choice. any Office or OneDrive document – access it and edit it together with your team without leaving the app. However, Microsoft Teams is not easy to deploy and manage, what we described sharing our experience while comparing the tool to Slack. For those who don’t have commercial Office 365 subscriptions. Unlimited messages and search, audio and video calls for up to 300 people. Enables scheduled meetings and meeting recording, among other features. Enables phone calls and audio conferencing. For those who have more than 300 team members. If you already purchased Microsoft Business Essentials or Business Premium package, using MS Teams seems like a reasonable choice. The same is true if deep integrations with Office 365 tools are critically important to you. However, be ready to face challenges with tool deployment and administration. 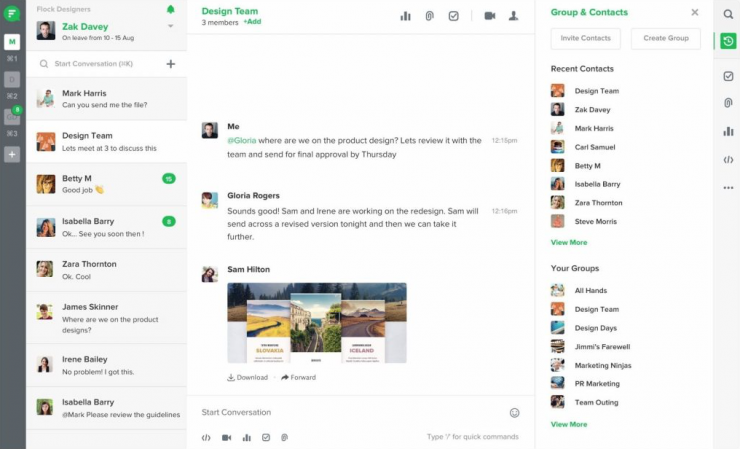 If you can’t live without Facebook, it’s likely that you consider Workplace platform to use as a team chat app. Introduced in October 2016, it has quite an unusual layout and features for a collaboration tool. How about live streaming your meeting? Starting a day with reading posts from your colleagues in News Feed? Unlike Facebook social media, you’ll encounter no ads in Workplace platform, as Facebook charges you with subscription fees. For those having security concerns, Workplace is about to use the new domain to protect customers’ data. If you are a Facebook ecosystem fan, Workplace can be your choice. Diving into a familiar interface can reduce the learning curve. But be ready for a different team collaboration experience compared with using other team chat apps. Here’s Google’s take on creating a world-class team chat app. 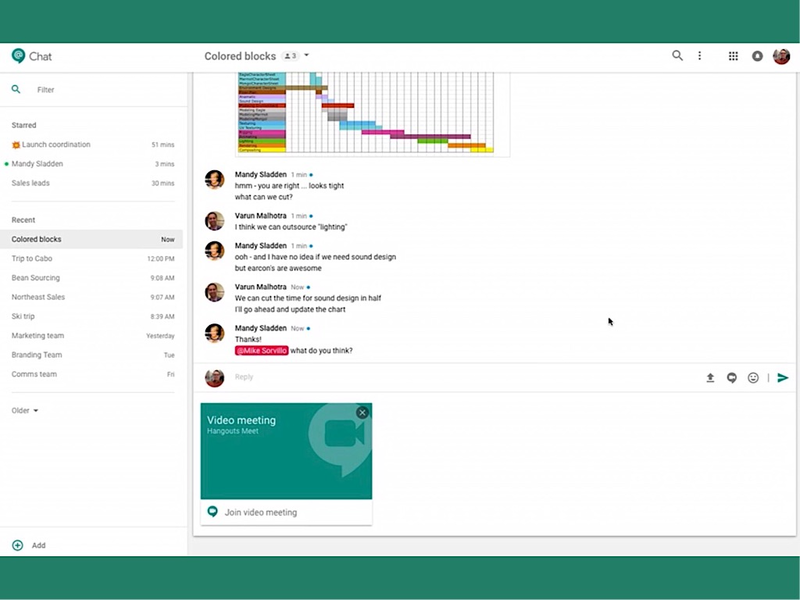 Hangouts Chat was made generally available in February 2018. 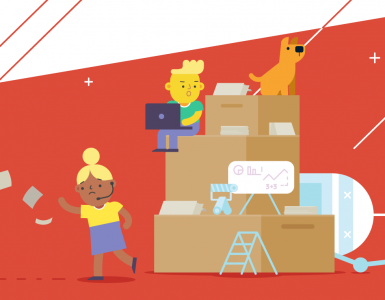 It comes in G Suite subscription plans – so expect no Freemium version. The app has deep integrations with G Suite tools, such as Calendar and Drive. Online meetings are available via Hangouts Meet. The multiple languages support works well for multinational teams. Having released just recently, the tool is constantly adding new features. Since August, Hangouts Chat has added notification snoozing feature and some emoji reactions. If you already have G Suite subscription, feel free to explore Hangouts Chat. However, the tool may lack some important features, as it was recently released. 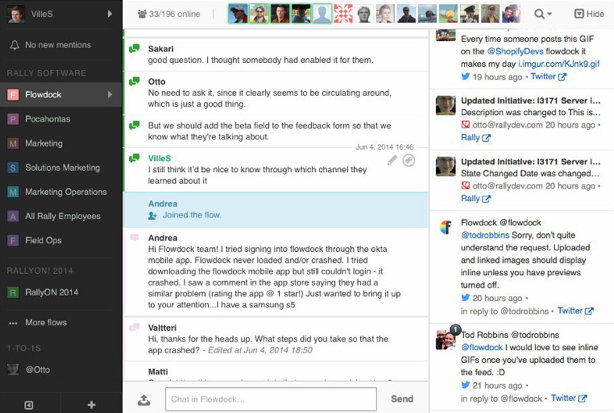 Initially, Flowdock was a real-time collaboration service designed for developers. However, now it positions as a team communication platform for multiple use cases. A shared inbox is the main feature of Flowdock. This is where the activity from project management tools, version control systems and customer feedback channels is stored. Threads are used for keeping topics organized – they make it easier to follow multiple discussions simultaneously. The video conferencing feature is implemented via appear.in. To have a voice chat you can switch off the cam. Flowdock has no Freemium version, but If you have a team of 5 people or less, you can actually use the tool for free. integrations. SSO, integration auto-removal, custom data retention policies. Flowdock can be your choice if you find the concept of team inbox with chat appealing. Developers may make special notice of the tool, as it was specifically designed for tech specialists. Rocket.Chat is a Brazil-based tool released in 2015. Unlike Slack, this is an open source app, which means you can customize, extend or add new functionality to the tool according to your needs. Also, Rocket.Chat has a generous Freemium tier for those who choose a self-hosted version: the unlimited search history and dozens of integrations including Zapier. Customizable UI and threading add up to its list of features. The tool also has its automatic real-time message translation feature which might be convenient for co-workers and partners who speak different languages. However, as some reviews suggest the tool is not great for technologically challenged users. 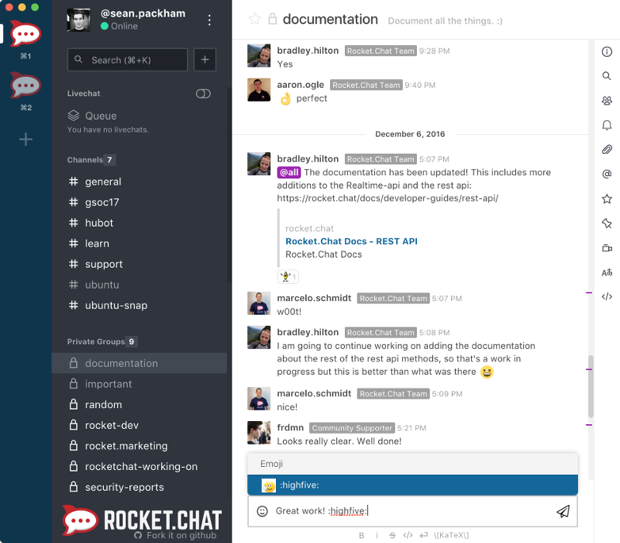 In case you need an open source tool – Rocket.Chat can be your option. But give yourself a considerable amount of time to explore it in case you are not tech-savvy. Let’s move away from Brazil – right to Indian Mumbai where Flock is based. 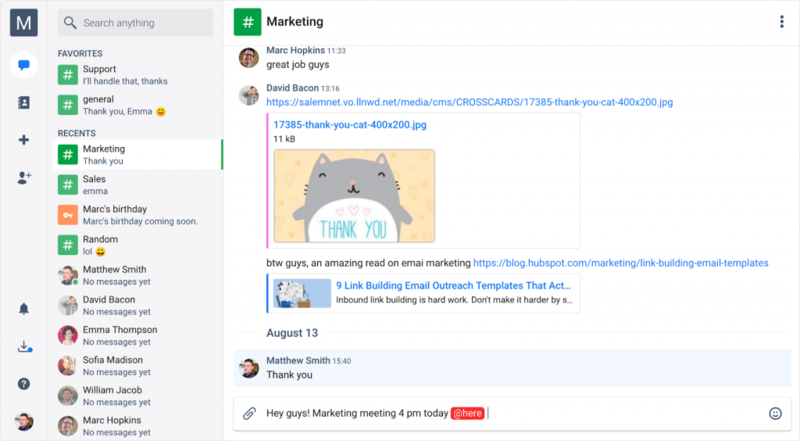 The tool clearly positions as a Slack alternative, trying to dethrone a red-hot player and surpass Microsoft Teams. In the comparison reviews, the lower price is mentioned as an advantage of Flock over Slack. Indeed, Flock’s most affordable paid version is $2 cheaper than Slack. However, the Freemium tier of tools has the same drawback – 10K message history limit. When our team tested Flock, we noticed the tool has high-quality video calls, but its interface is rather overloaded. 10GB file storage per licensed user. 20GB file storage per licensed user and dedicated support. Flock was designed to suit many use cases. Its pros and cons are better assessed when tested personally. In conclusion, let’s move to the US-based apps. Ryver launched in 2015 in order to ‘solve the world’s email problem’ and replace ‘the outdated way many teams collaborate’. 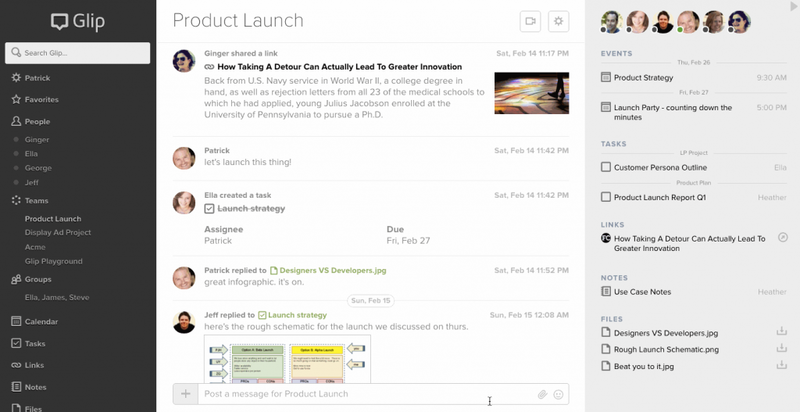 Two years later the tool came up with its top feature – the built-in Trello-like task manager. 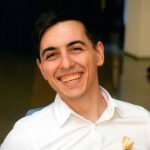 As for a native solution for calls, Ryver doesn’t provide it, at least, yet. The audio and video conferencing is available via integration with FreeConference app. Since 2018 Ryver is not a free tool anymore. As Ryver CEO Pat Sullivan explained, the company started charging its users, because the app became ‘mission-critical for most customers’. Unlike many (I would even say most) team chat tools, it charges for a team – not for a user. 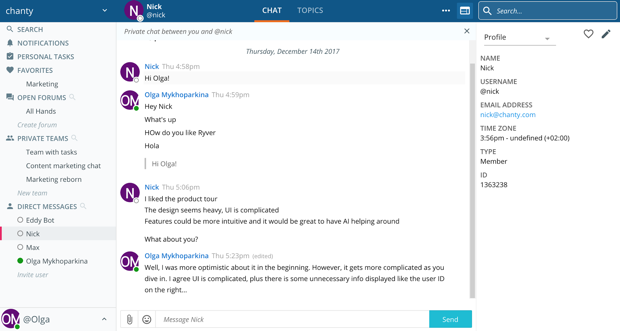 Basically, Ryver is like putting Slack and Trello into a single tool. Explore it If you like the idea of combining team communication and task management in one app. Glip is yet another veteran tool released in 2012. Before RingCentral bought it in 2015, Glip had already become a solid team chat app with third-party integrations. Its new owner, the prominent US-based cloud operator, integrated the tool to the RingCentral Office phone system. This enabled Glip users to make calls anywhere in the world. Having quite a generous Freemium plan, Glip provides its clients with unlimited integrations. The video chat time, however, has limits in both – Free and Standard tiers. When testing Glip, our team noted the tool might seem rather messy with lots of information stuffed in the app interface, while the search feature in Glip might need some improvement. Includes unlimited storage, integrations and guest users, 500 min. of shared video chat. Extends the limit of shared video chat to 1,000 min. Using Glip seems like a reasonable choice if you are a RingCentral Office customer. Have a first-hand experience with Glip to fully assess its pros and cons. 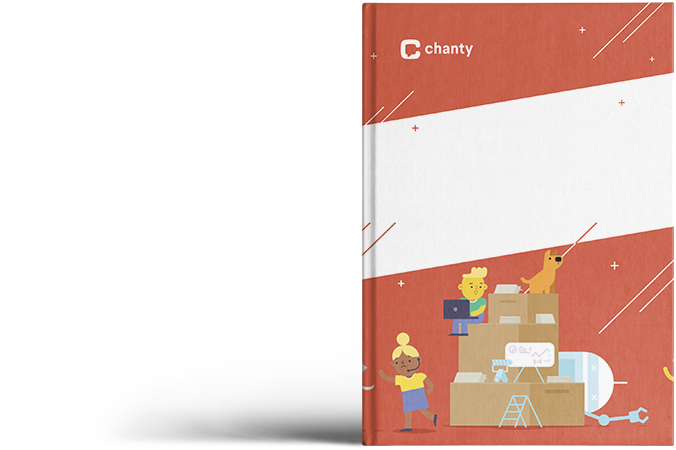 Chanty is a simple communication app with unlimited message history for everyone who strives for intuitive user experience, fast communication and easy file sharing. Slack is the safe bet for those who are ready to part with a round sum of money for unlimited 1000+ integrations and other popular features. 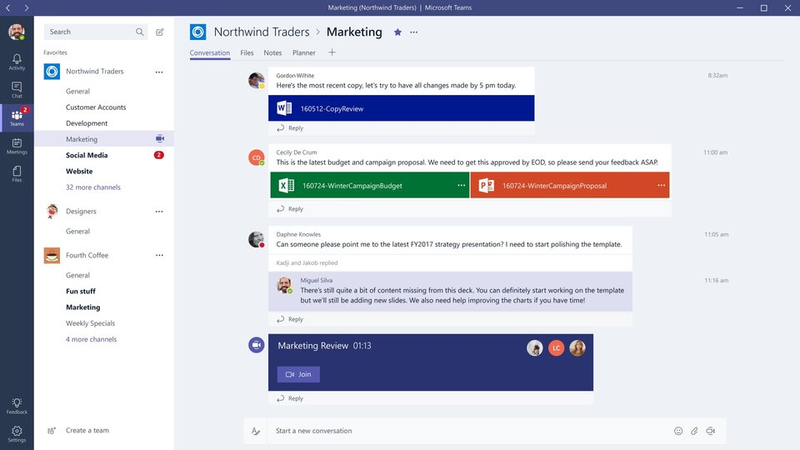 Microsoft Teams is a solid, but not the simplest tool on this list. Explore it if you are not afraid of challenges in deployment and team administration. 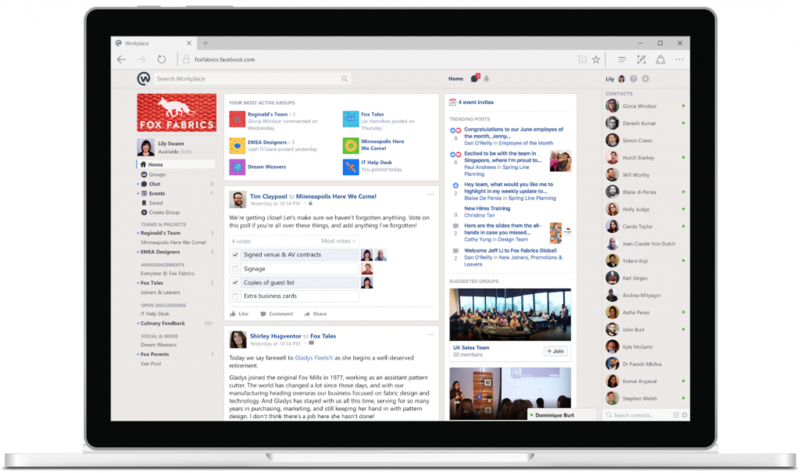 Embrace Facebook Workplace if you like the world-known social media platform ecosystem. But be prepared for some differences in its functionality compared to other team chat apps. Explore Hangouts chat in case you are interested in deep integrations with G Suite tools. This is a recently released team chat tool with many features to come. Traditionally, Flowdock was the developers’ choice. However, if you like the idea of Team Inbox feature, this app will fit you well too. Rocket. Chat is an open-source tool, which tech-savvy users may find quite beneficial. Flock seems like a well maid Slack alternative, however, its Freemium version is quite restricted with 10K message history limit. Ryver can suit for bigger teams, as it charges per team, not per user. Try it if you like the idea of putting Slack and Trello into a single tool. Glip is a reasonable choice for RingCentral Office users with a sizable list of integration solutions. These first 10 tools are just the beginning. The list of team chat apps can be endless and we’re looking forward to introducing you to other apps. Stay in touch. Have I missed anything? Feel free to share your thoughts in the comments.